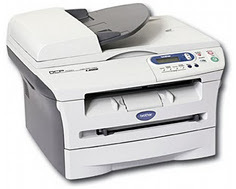 The Brother DCP-7020 is designed as a personal printer for a receptionist, personal assistant or other clerical worker with a low printing cycle (2000 pages per month). While primarily envisioned for office use, the copy and color scanner features would be useful in households as well as a college dorm room setting. For lightweight printing needs, the DCP-7020 offers a blend of affordability and features that would appeal to most small offices and personal users on a budget. 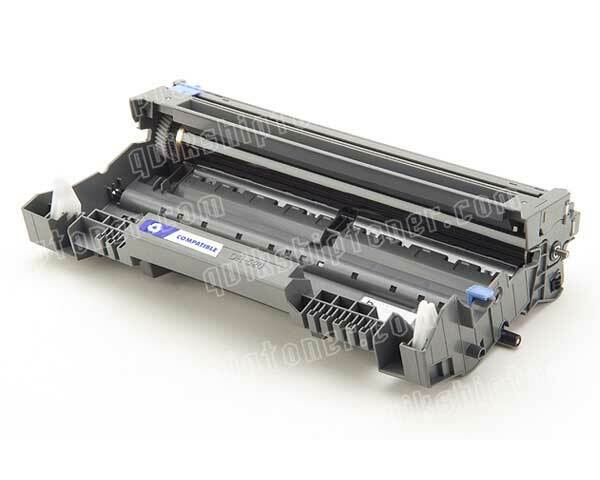 20PPM B/W should be sufficient for most personal / small office uses in a light printing environment. The DCP-7020 is rated Energy Star Compliant. This rating ensures that power consumption is within acceptable levels for a device of this nature. The small footprint of W 17.0”x D 15.6” x H 11.6” and 20.8lbs, make the DCP-7020 ideal for smaller desks where space is at a premium. The 250 sheet tray paper tray included in the DCP-7020 will allow a half ream of paper per load, more than enough considering the recommended duty cycle of 250 – 2000 pages per month. With the DCP-7020 primarily being used on desktops, refilling paper should not be an issue. A low 16MBs of RAM is shipped with the DCP-7020, with no options for expansion. While this may work for regular MS Office applications, notoriously memory hungry PDF files may cause errors. 16MB may also be low for some color scanning at the full 9600dpi (interpolated) 24-bit. Complex designs in full color typically take more than 30MB when created in Photoshop type applications (before compression). No network connections are built in or available separately for the DCP-7020. USB and parallel connections are available; however, the appropriate cords need to be purchased separately which adds to the total cost of ownership. 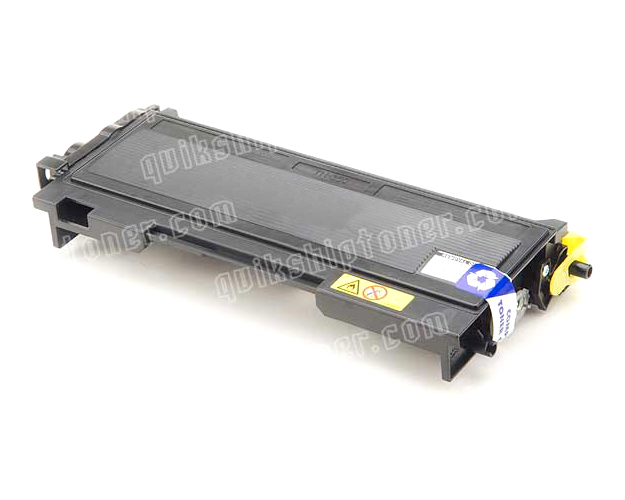 No “toner saver” mode is available from the printer hardware settings. While still available from the basic menus within most consumer programs, proprietary programs may not have a grey scale feature for toner savings, resulting in higher total cost of ownership and may account for 20% - 25% more toner usage over the life of the printer. Software drivers are only available for Windows and Mac OS, therefore any office that uses Linux OS or other operating systems as a standard will have to find generic drivers that work for the DCP-7020. A small flatbed scanning surface for the copier will only allow for letter size (8.5” x 11.0”) scanning or copying tasks. Legal size paper, relatively common in most small businesses such as medical or law offices, will need to be scanned as two documents and “stitched” together with the included Scansoft PaperPort® SE or Presto® PageManager® software. Time for first page to print is a lagging 10 seconds from print command to toner flowing. If streaming a continuous quantity of documents this will be less noticeable, but in the case of stop and start printing, this will become a substantial time waste throughout the day. While the DCP-7020 was designed to be placed on a desktop directly near the end user, a 53dBA noise rating while printing will be loud enough to disrupt phone conversations and possibly interfere with basic face to face conversations. 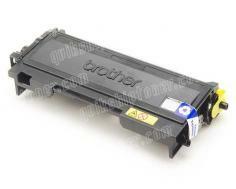 Review it: "Brother DCP-7020 "
The DCP-7020 comes with starter B/W toner (1500 pages @ 5% coverage) and a full drum assembly good for 12000 pages. 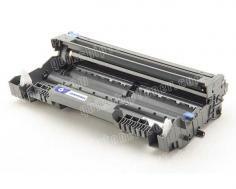 There are no high yield cartridges available, with the standard cartridge providing 2500 pages @ 5% coverage. Drum assembly should be replaced after every 5th toner swap. With a suggested monthly cycle of 250 – 2000 pages, this drum replacement should be necessary twice a year.